Captain Morgan Caribbean Blended Aged Dark Rum is a popular Rum available from Tesco Groceries in 1l to buy online. Visit Tesco Groceries for the best price for 1l of Captain Morgan Caribbean Blended Aged Dark Rum or compare prices on our other Rum products. Captain Morgan Dark Rum is a blend of pot still and continuous still rums from Jamaica, Guyana and Barbados. It is aged in oak and has a dark, full-bodied colour and distinctive rich taste that is unforgettable. Where to buy Captain Morgan Caribbean Blended Aged Dark Rum ? Captain Morgan Caribbean Blended Aged Dark Rum Supermarkets & Stockists. 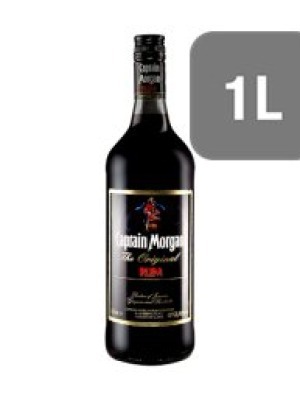 You can buy Captain Morgan Caribbean Blended Aged Dark Rum online in most retailers and find it in the Rum aisle in supermarkets but we found the best deals online for Captain Morgan Caribbean Blended Aged Dark Rum in Tesco Groceries, DrinkSupermarket.com, and others. Compare the current price of Captain Morgan Caribbean Blended Aged Dark Rum in 1l size in the table of offers below. Simply click on the button to order Captain Morgan Caribbean Blended Aged Dark Rum online now.